Loneliness is a state of isolation characterized by anxiety, despondency, and depression. It may best be understood as an escalating cycle of psychological incongruity between one’s unconscious and conscious minds. Indeed, without sufficient human interaction, the unconscious begins to flood the mind with memories of prior interactions, and new social scenarios created from those templates. These intrusive thoughts can begin to torment the individual, as apparently innocuous memories are often twisted into derogatory and harmful encounters by the rebellious conscious mind. To discover why, one must consider our most basic human instincts. Evolution has provided humanity with many traits to ensure we pass on our genetic material. These traits act as fail-safes to prevent us from behaving in a counterproductive way. Intrusive thoughts regarding social encounters are an incentive for a change to more sociable behavior, as this behavior is more likely to culminate in reproduction. While this should provide the impetus to escape loneliness, there is another evolutionary trait that can work against it. In the ancestral environment, individuals would have occasionally found themselves expelled from the tribe, or lost in the wilderness. Even if one was able to adapt to life alone, there was little chance of ever finding a mate. To incite change, anxiety would manifest to make this lonesome life feel unpleasant, uncertain, and incomplete. 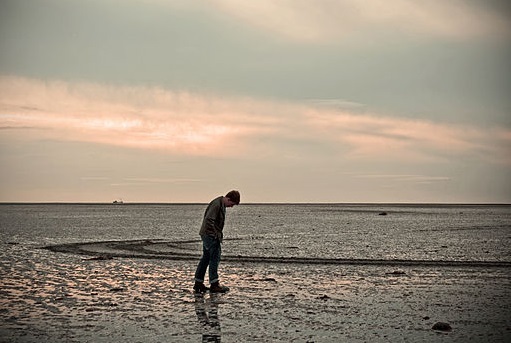 In our modern environment, anxiety is triggered when our ability to survive or reproduce is threatened in ways that were relevant in ancestral environments, and this includes present experiences of loneliness. Anxiety is an archaic defense mechanism that has become increasingly incompatible with modern human life. Indeed, many disorders can be traced to elevated anxiety levels. These include agoraphobia, post-traumatic stress, panic disorder, OCD, and social anxiety. In short, the accelerated industrialization and urbanization of our environment has led to increased feelings of uncertainty, and thus, a prolific triggering of anxiety. The most important change is our increased ability and willingness to socialize. Over the millennia our language has grown substantially, allowing us to communicate our thoughts more effectively. We have become more nuanced in how we communicate, more perceptive of hidden meanings and facial expressions, and more aware of the potential repercussions of our behavior in a wider social sphere. When thinking about social encounters, we have more to feel uncertain about than we ever did in the past. It follows that when the unconscious mind produces intrusive thoughts regarding social encounters, one’s anxiety creates a plethora of doubts regarding their uncertain outcome. After all, the purpose of anxiety is to respond to potential or hidden threats by forcing an individual to consider all potential negative outcomes. Thus, a memory regarding an innocent conversation with another person may become twisted into a memory where a bad impression was made on that person. The cumulative effect is the individual becomes averse to socializing. The more one feels lonely, the more intrusive thoughts and memories are thrust into the conscious mind by the unconscious. Here they are twisted by anxiety into scenarios that magnify anxiety levels further. As the individual becomes convinced that socializing is too risky, the unconscious responds by increasing the frequency of intrusive thoughts. This perpetuates an escalating cycle of dissonance between the unconscious and conscious minds; a state that can be described as loneliness. When lonely individuals confide their dilemma to a family member or friend, they often receive an unintentionally condescending instruction to throw oneself into social settings. The friend may be unable to comprehend any difficulty for this endeavor. They may also extract pride from being a sociable person, and to maintain that pride, they must deny any difficulty they may have. Despite this apparent callousness, it is important to remember that their misunderstanding is not intentional. It is worth thanking them for their kind words, and not being deterred from seeking advice that is more forgiving. If this fails, seek advice from someone who can be trusted with the information, such as a doctor, teacher, or counselor. The most effective way to slow the infusion of negative thoughts may be distraction. Reading a book, watching a movie, surfing the net, playing a video game, or doing jobs around the house will prevent the mind from wandering. Perhaps the greatest diversion is exercise. More than just a distraction, exercise will release proteins and endorphins to minimize the discomfort associated with the activity. This can improve mood and reduce anxiety. Furthermore, completion of an exercise routine can provide a sense of achievement and well-being. Loneliness is an affliction that isn't helped by the stigma concerning seclusion, and the pressure to be a sociable individual. However, seeing it is a natural consequence of social isolation can help one to feel less anxious about its effects. Indeed, if one understands loneliness as a biological inevitability in which the unconscious mind is telling you to live in a relationship that is conducive to reproduction, it can be coped with more effectively. As well as exercise, other goal-oriented behavior can provide a therapeutic distraction. Finishing a book, writing a poem, or building a personal website can all provide a welcome sense of achievement. Joining an internet community can be an easy way to interact without the pressure of being in the physical presence of others. Going to concerts, museums, community meetings, clubs, and events is a nice way to be around others without feeling obliged to participate. Getting a pet may combat loneliness by providing interaction with a creature that is generally incapable of causing psychological pain. If loneliness and intrusive thoughts are problems that cannot be ameliorated in any of these ways, it may be best to seek the advice of a counselor. Therapy sessions will typically involve locating the source of the problem, attempting to reverse negative thoughts, building confidence, and fostering a sense of social inclusion. I agree Isaiahkimgoodwin. Unfortunately, a lot of people don't know how to respond to pleas for help about loneliness. They either offer bad advice like "just throw yourself into social situations" or they're too concerned with defending their own social image - so they pretend to have no experience of loneliness. I think it is an issue not talked about enough... Who hasn't felt this way, but so many don't talk about it. Thanks for commenting Michelle. Glad to help! This hub really helped me out, as I find that I'm trying to overcome a lot of these issues myself, or people around me are trying to do the same. Thanks a lot for sharing!